According to the Telegraph: “The pictures could have played a vital part in helping to eliminate suspects or stop any abductor from fleeing the country with Madeleine“. The pictures may well have played a vital part in the investigation in that the PJ eliminated them from the inquiry. What are these people in these photofits suspected of doing? The Telegraph fails to enlighten us. I am somewhat puzzled by the Telegraph referring to a so-called abductor fleeing the country with Madeleine? First, it has to be established that there was an abduction. It has never been established that Madeleine was abducted. 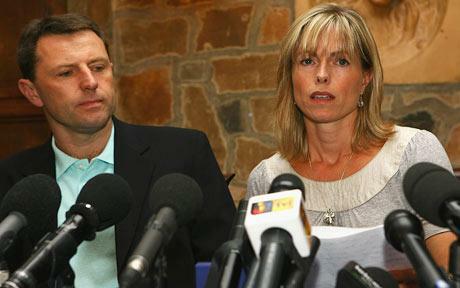 This was a version of events as given by Kate and Gerry McCann. Like Jane Tanner’s alleged sighting of an abductor, both versions have no credibility. 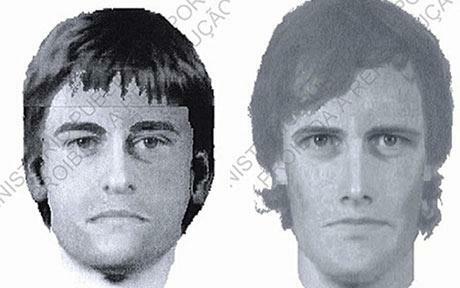 The photo below of the two suspects in the disappearance of Madeleine did play a vital part. It is time that the British media focused upon the McCanns and stopped wasting time and trying to insult our intelligence by giving more relevance to sketches of innocent people. It was not the PJ nor the Portuguese who are responsible for Madeleine’s disappearance. Kate and Gerry McCann are.